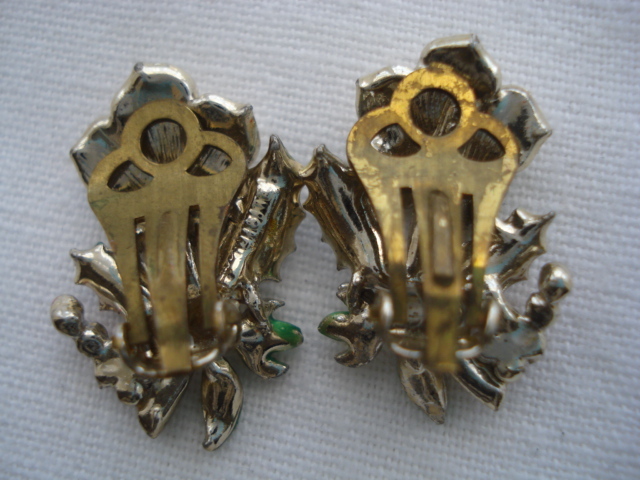 These are rare and wonderful earclips! They were designed by W.A.P. 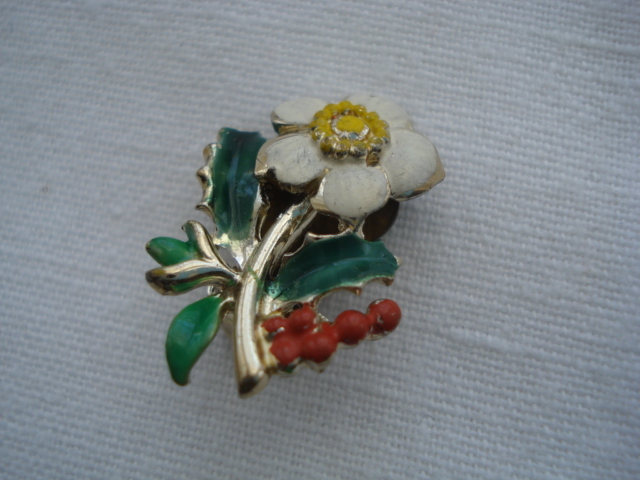 Watson of Solihull, Birmingham in the 1960's and would have complimented their best-selling line - Birthday Flower Brooches. You do come across a number of the cold enamel pins but the earrings are just harder to get. The Company also produced a delightful necklace made up of lots of little flowers and all of these wonders were marketed under their trade name - "Exquisite!" As tiny as these are, they bear the all important signature on the reverse. 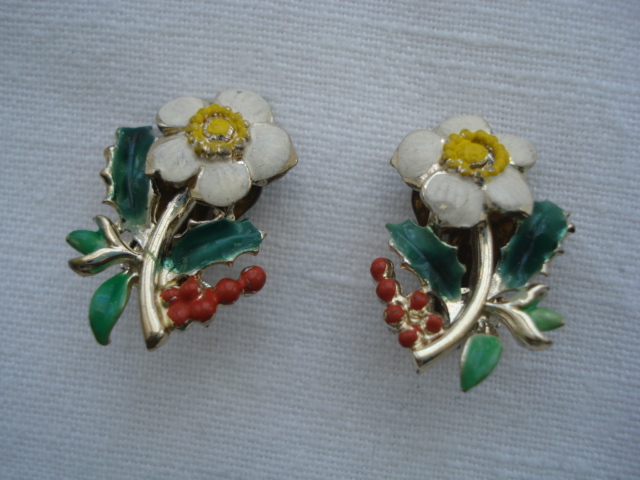 Each of the earclips has been hand-painted in cold enamel with a goldtone finish. They consist of a white "Christmas Rose" with yellow stamens and leaves and some spikey green Holly Leaves complimented by scarlett red Holly berries just the thing for the Christmas season and cheerful enough to make even the crisp and cold winter days seem bright! They measure just about 1inch (2.5cms) by half an inch (1.5cms) and are in great vintage order. They mirror one another when worn and you can tell that each piece of jewelry has been hand finished because there are very subtle differences between the two. They close with a secure earclip and would sit neatly curving up the earlobe in that great late 1950's early 1960's fashion. Now wouldn't they make a perfect Christmas Present for someone you love or for yourself? Add these to your Vintage Wardrobe or Costume Jewellery Collection - you will be pleased that you did!